Facebook's major messaging announcement may not have been the direct frontal assault on Gmail that many had anticipated, but that doesn't mean that Google doesn't have reason to be concerned. The new e-mail capabilities, combined with the integration of Microsoft Office Web Apps make Facebook a more complete business tool and a more direct competitor for Google Apps. Mark Zuckerberg was up front about the fact that the new Facebook e-mail will not give users a reason to suddenly drop existing Gmail accounts and switch to Facebook. It isn't so much a direct rival to Gmail as a shift in the overall concept and application of messaging. It is more of a unified communications approach rather than simply a Web-based e-mail service. A post on the Microsoft IW News Bites Blog describes the benefits of merging Office Web Apps with Facebook messaging. "Inspiration and the need to share documents can strike at any time and in any context--yes, even while looking at pictures of a friend's new pug on Facebook. You may want to send your friend a spreadsheet containing data you pulled together on organic dog food prices in shops within the Bay area. Lucky you...Microsoft Office is now a part of Facebook's new messaging system, allowing people to view Word, Excel and PowerPoint attachments with the Office Web Apps directly in Facebook." Facebook users who don't have Microsoft Office locally installed will be able to work with the Web-based counterparts for free and send the Microsoft Office files as attachments using the Facebook messaging system. The Office Web Apps don't have the extensive features and capabilities of the actual Microsoft Office programs, but according to the Microsoft blog post, "If you have Office installed on your computer, you will be able to download, edit and save attachments to your computer." What the Facebook messaging does--especially when the Microsoft Web Apps integration is considered--is make Facebook a more direct competitor for Google Apps as an online platform for business. Organizations can use Facebook to stay in touch with status updates and instant messaging. The partnership with Skype provides access to VoIP (voice over IP) voice communications and group chat. 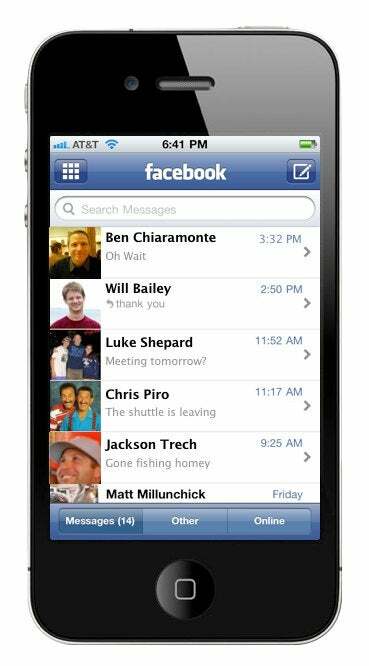 The new Facebook messaging enables e-mail communications within and outside of the Facebook social network, and the inclusion of Office Web Apps and the ability to send Microsoft Office file attachments make Facebook a comprehensive communications and productivity platform to rival what Google has to offer. Facebook is already the online destination where users spend the majority of their time online--even if many of them are just playing Farmville or Mafia Wars. Expanding the marketing potential of Facebook with Facebook Places and Facebook Deals, and extending the communications value of Facebook with messaging and Microsoft Office integration make Facebook a powerful business platform.